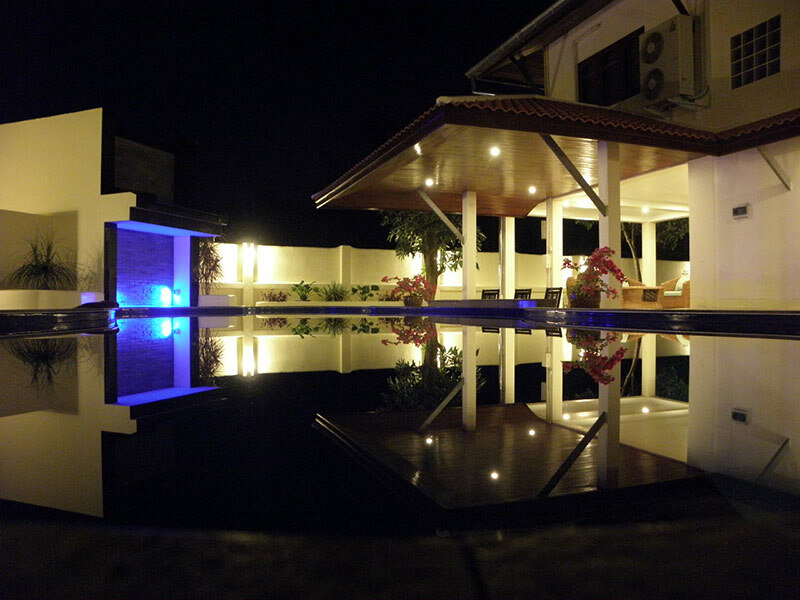 Samui Garden Villa is a luxury pool villa in Koh Samui, Thailand. It has extremely comfortable rooms that are equipped with warm and precious materials and personalized with an authentic Thai touch. 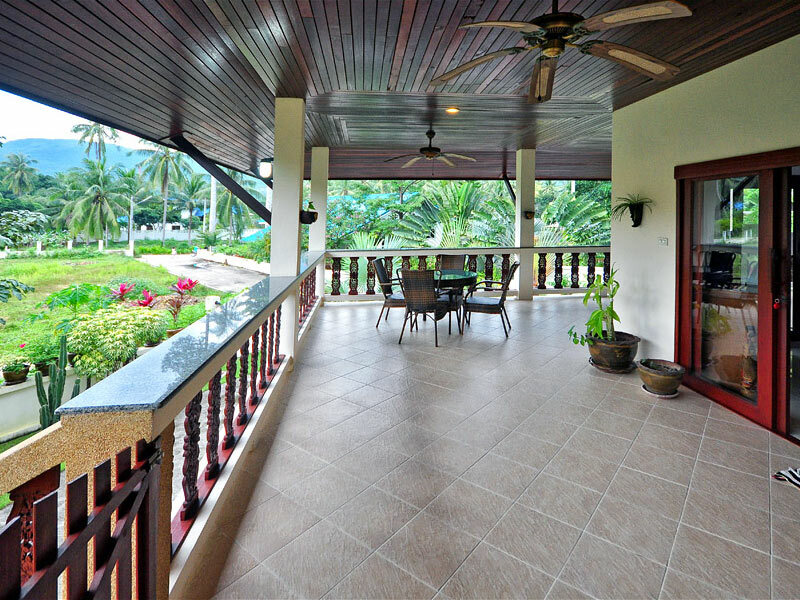 This passion for detail contributes to the intimate, tranquil atmosphere of Samui Garden Villa. 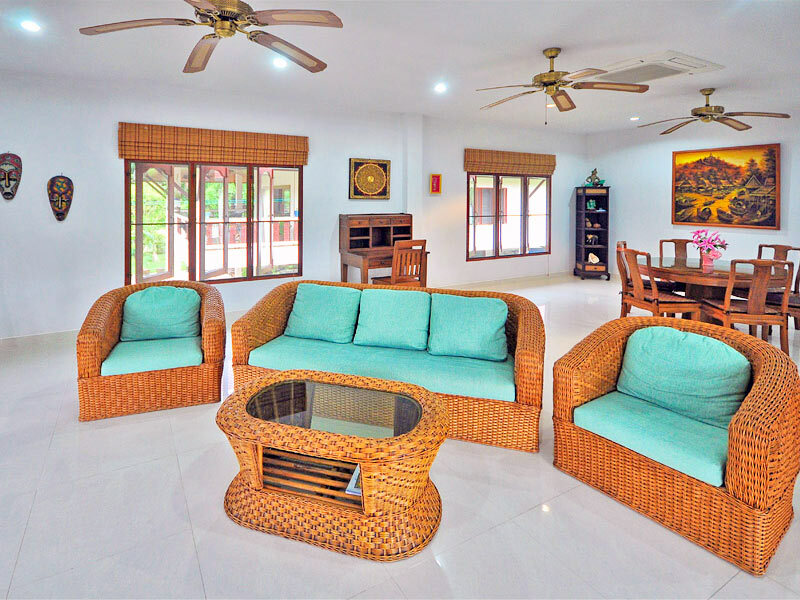 It transforms each room into a pleasant refuge, where guests can relax after a day spent touring the beautiful attractions of Koh Samui, or after a day enjoying the private pool. 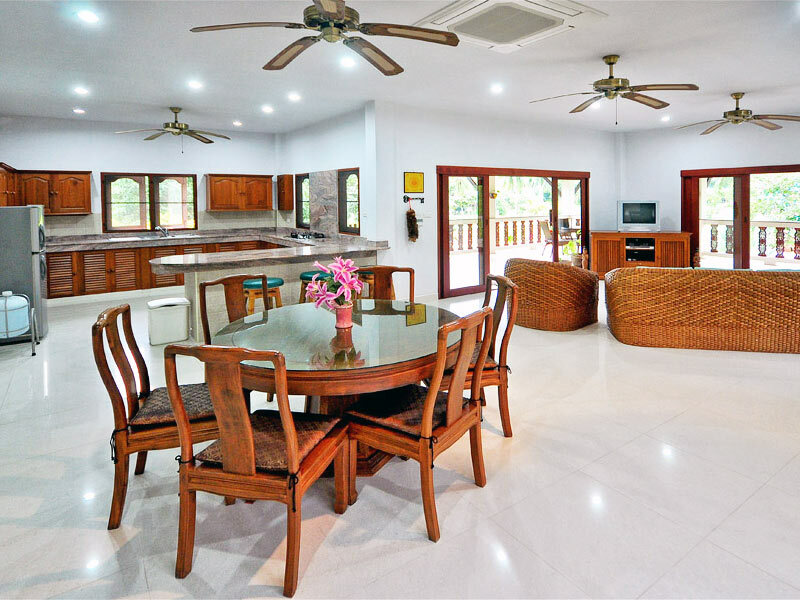 Ideal for families or small groups looking for some quality time away from the crowds, this private three or four bedroom Thai style pool villa has a teak wood and ceramic tile interior, which helps it blend in with the natural surroundings. The dining space is served by an open-plan western kitchen. 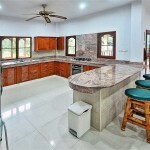 The kitchen is equipped with a full range of modern appliances. Fans and air-conditioners are in all living areas. 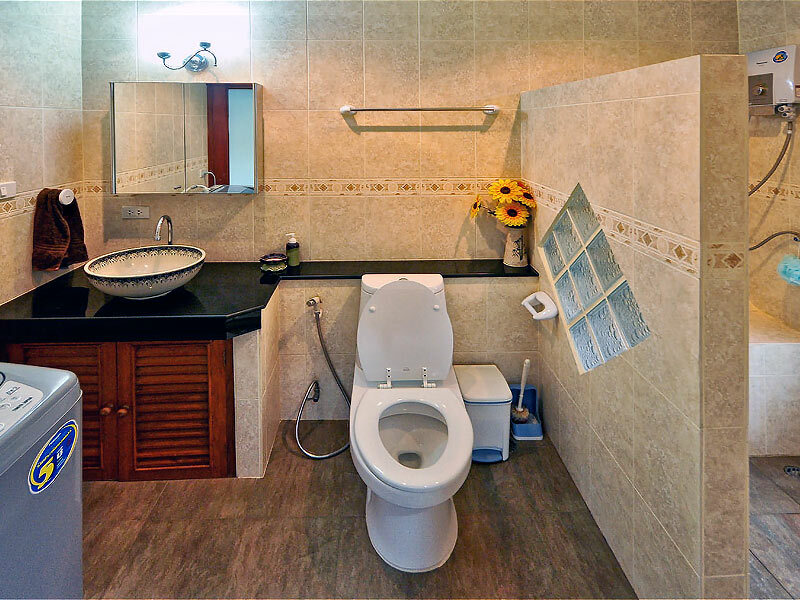 There is also free wireless internet access, free satellite TV with international channels, and daily maintenance. 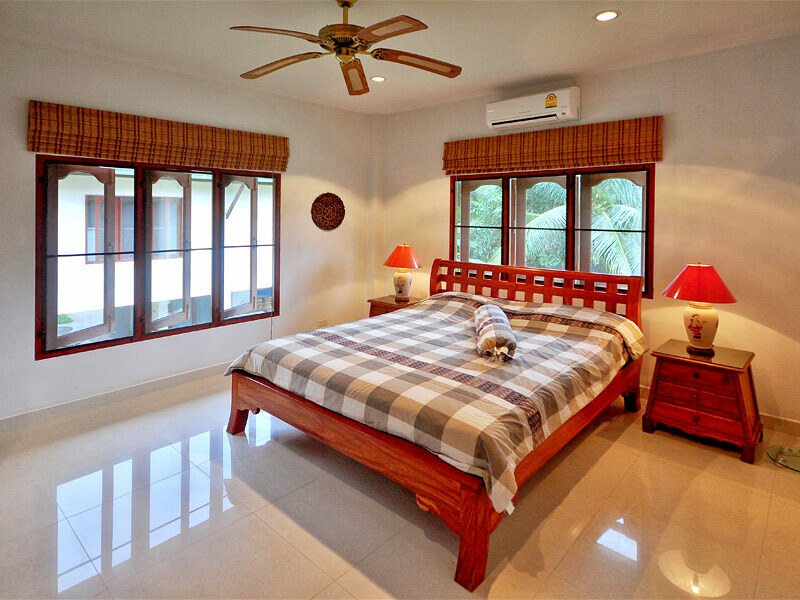 The bedrooms at Samui Garden Villa have been individually designed with a fresh concept, mixing traditional and modern design. A good night’s sleep is certain in these spacious rooms. 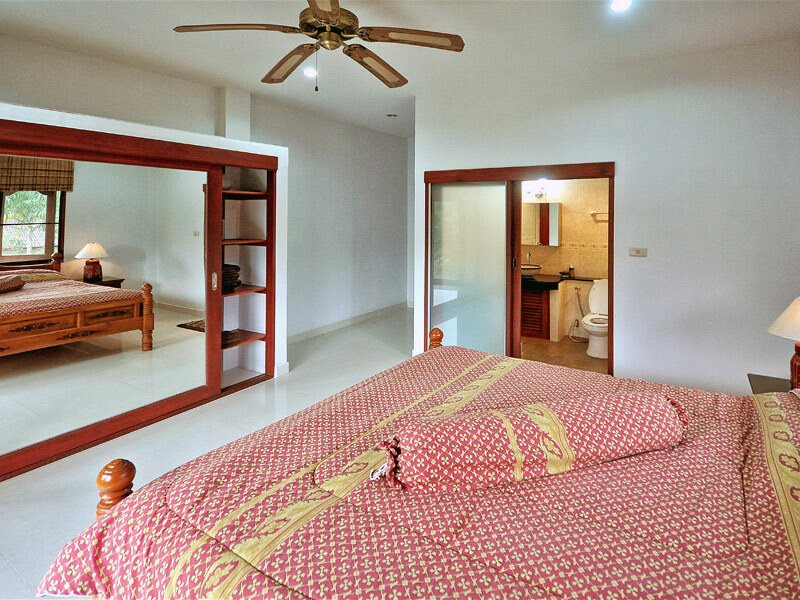 All rooms are decorated in warm colors with beautiful teak woods, and are equipped with air-conditioning, a ceiling fan, and wifi. 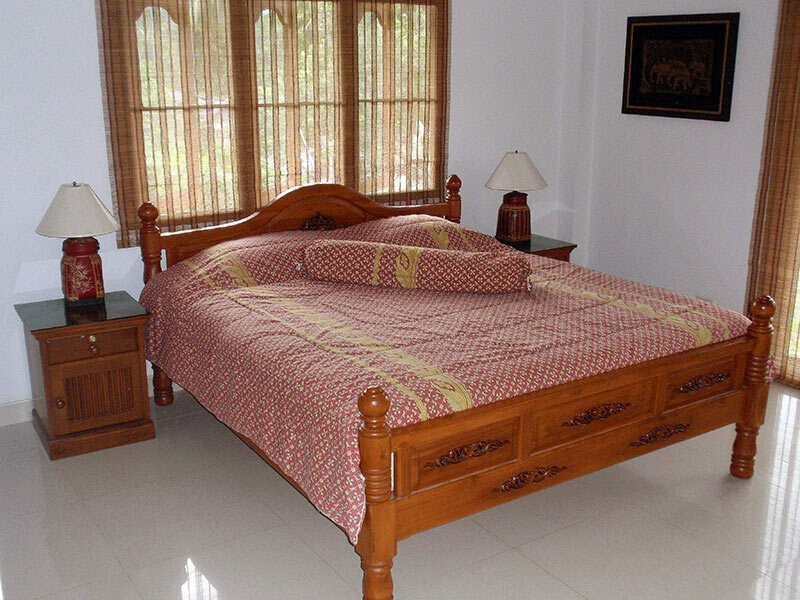 The master bedroom has a king size teak wood bed and an en suite bathroom. The bathroom has a washing machine that you may use if you prefer to do your own laundry. Otherwise, we offer a laundry service. 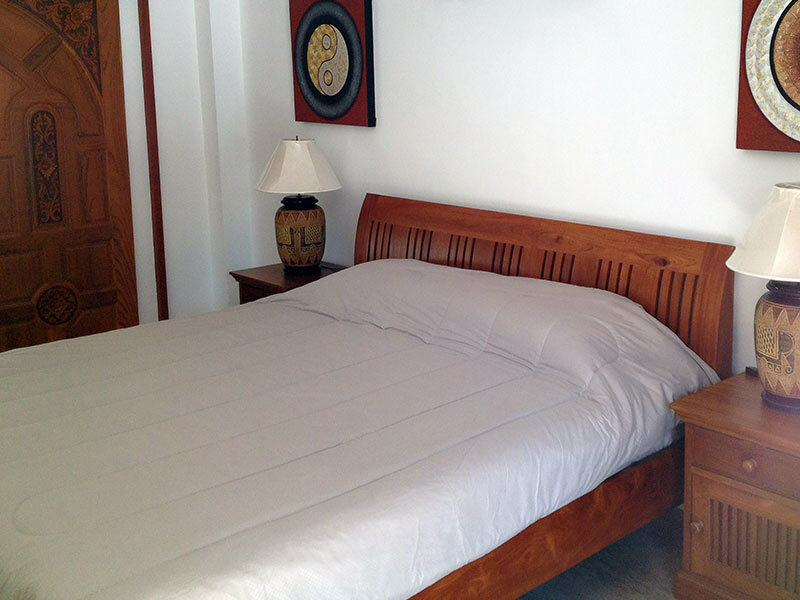 The main floor suite also has teak wood furniture, with a large wardrobe and a bathroom right next door. 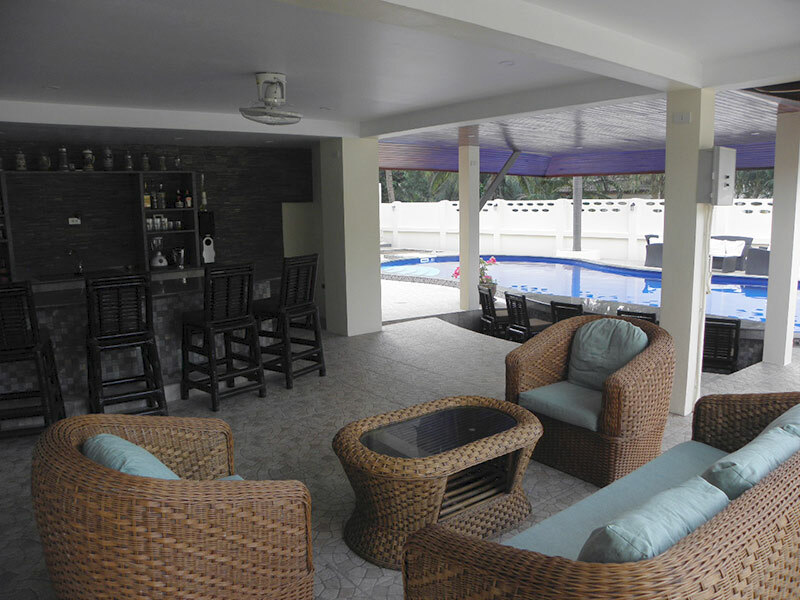 The lower room is just steps away from the private pool and the fully fitted bar lounge area. 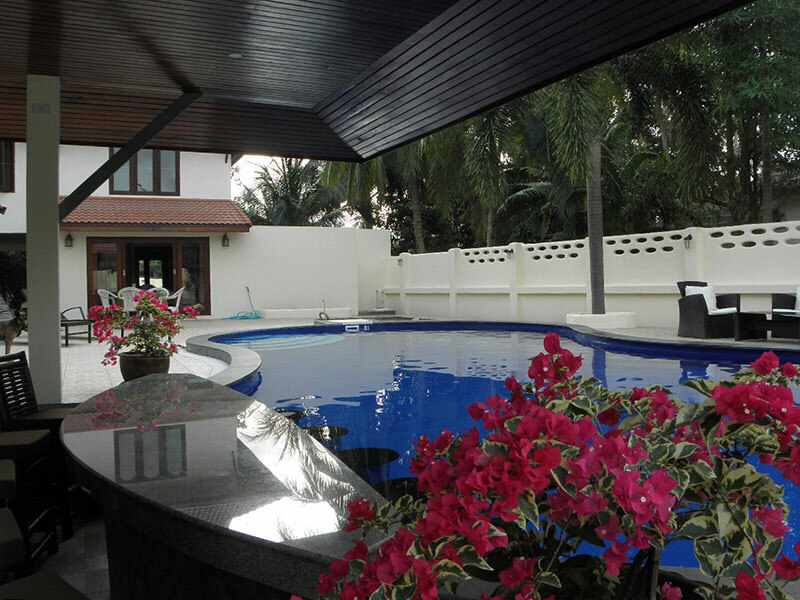 The poolside suite has a separate entrance, so guests can come and go without bothering those in the main house. It also has an en suite bathroom, teak wood furniture, a large wardrobe, and double teak wood doors opening up to the pool. Need more space? 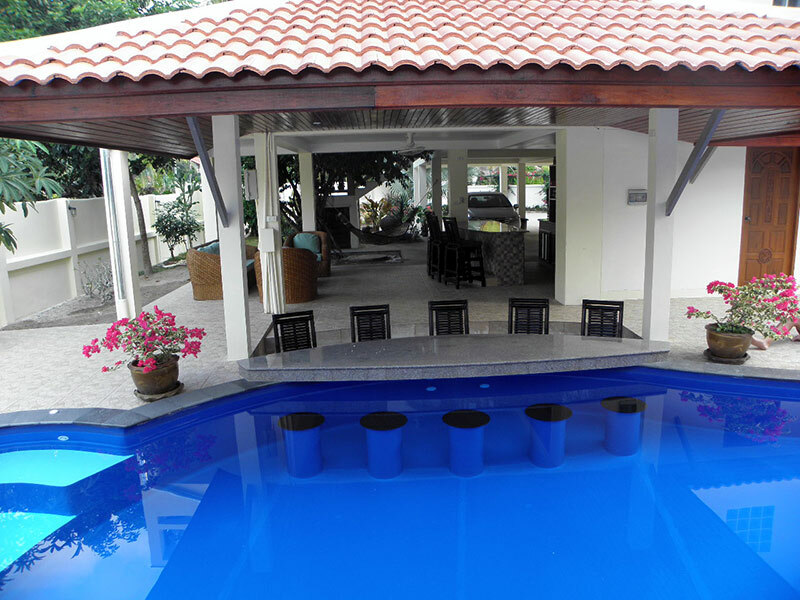 We offer a second poolside suite for an additional cost, for a total of 4 bedrooms. It is our largest room, and is equipped in a same fashion as the other poolside suite. 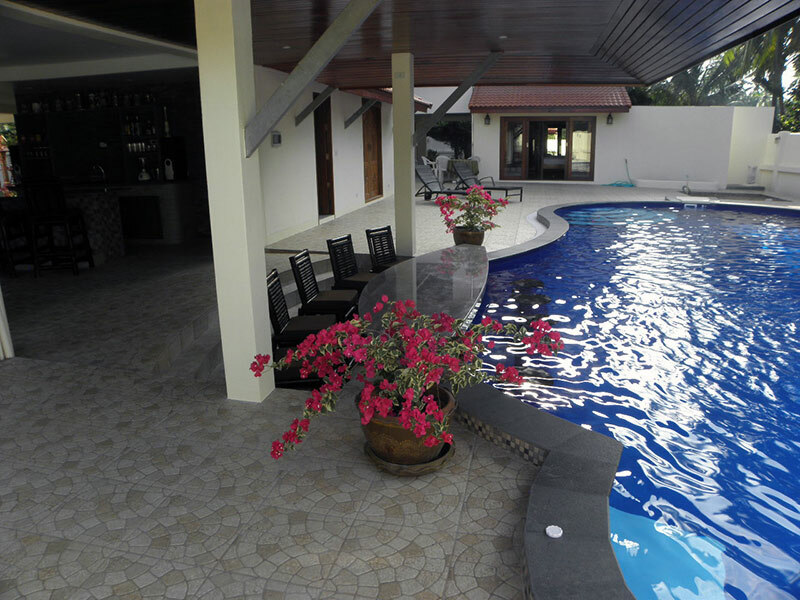 The pool at Samui Garden Villa is luxurious. A tropical garden frames the villa’s indulgent 12 x 5 meter private pool, which features a waterfall, swim-up bar, Jacuzzi, and swim jet. 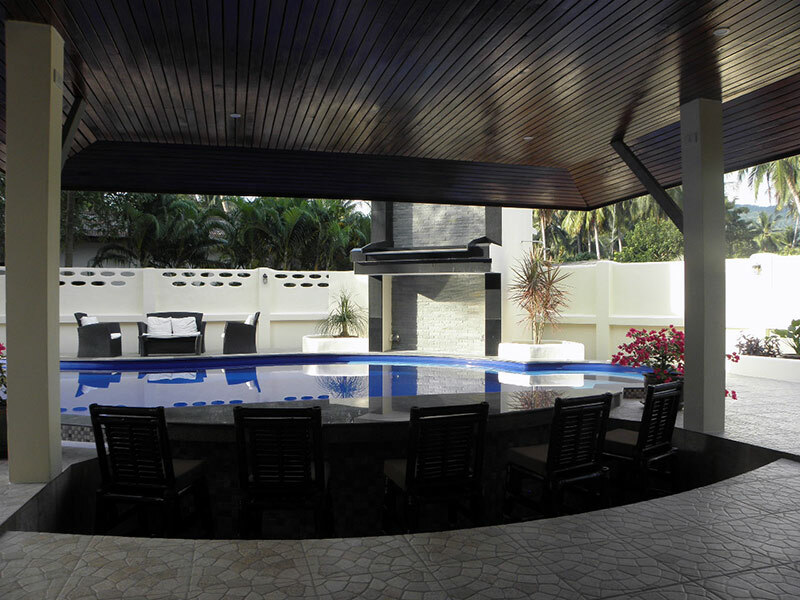 There is a spacious poolside lounge with plush couches and armchairs, plus a granite and stone bar with ceramic tiles throughout. The generous outdoor spaces take full advantage of the natural environment. 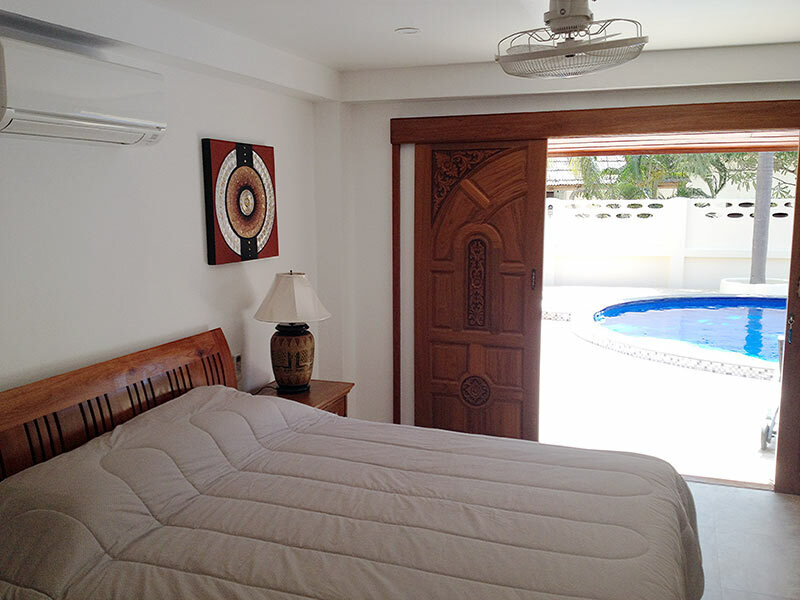 The cool, clean, uncluttered living space makes it comfortable to drift all day between the pool and the rooms in your beachwear. This is open-air living in your own personal tropical paradise. 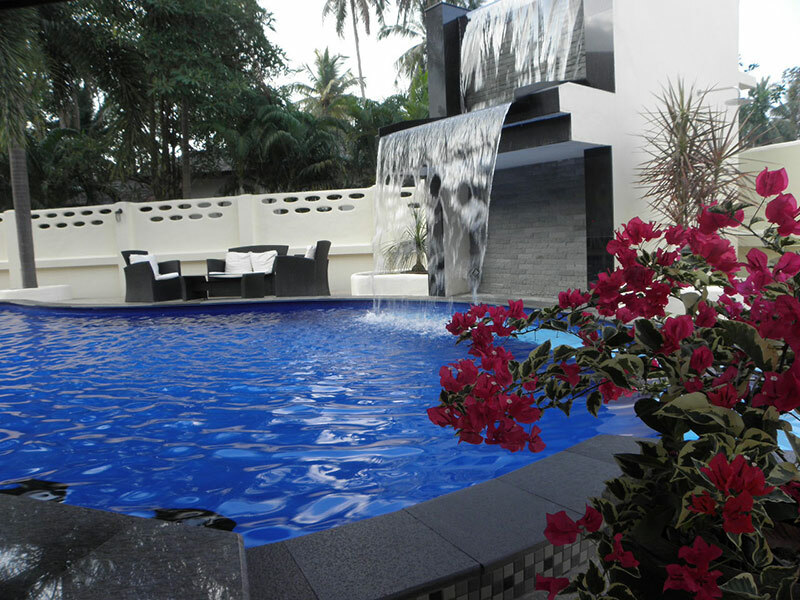 It is wonderful to come home at night and sit around your private pool, listening to the waterfall. 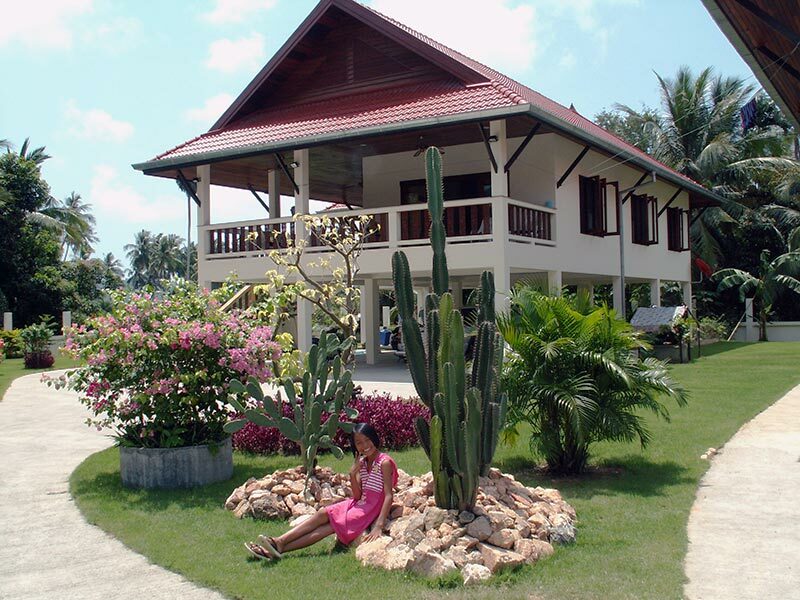 Have a glass of wine, or your favorite beverage, and unwind from a day of touring the beautiful Samui island. It’s times like these that you’ll know you’re on a tropical vacation and that nothing else in that moment matters, because you are totally relaxed. 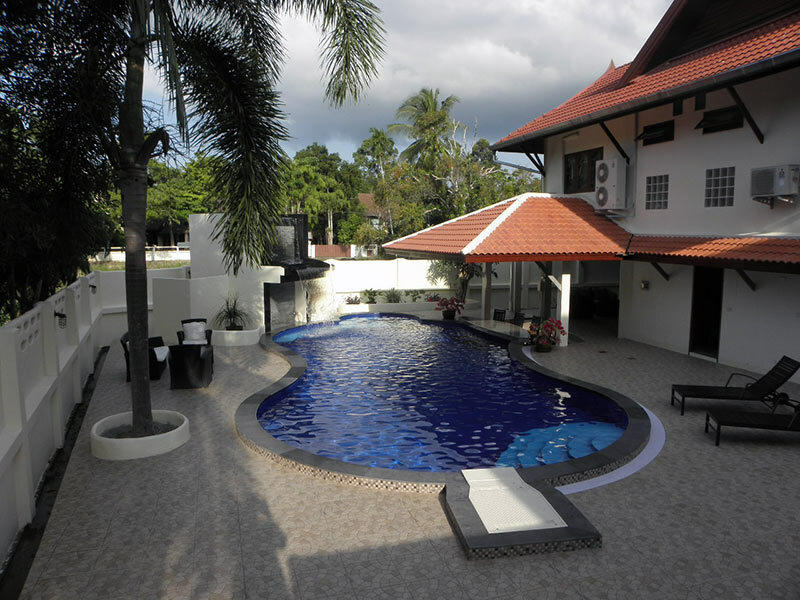 We use TripAdvisor to make bookings for Samui Garden Villa. 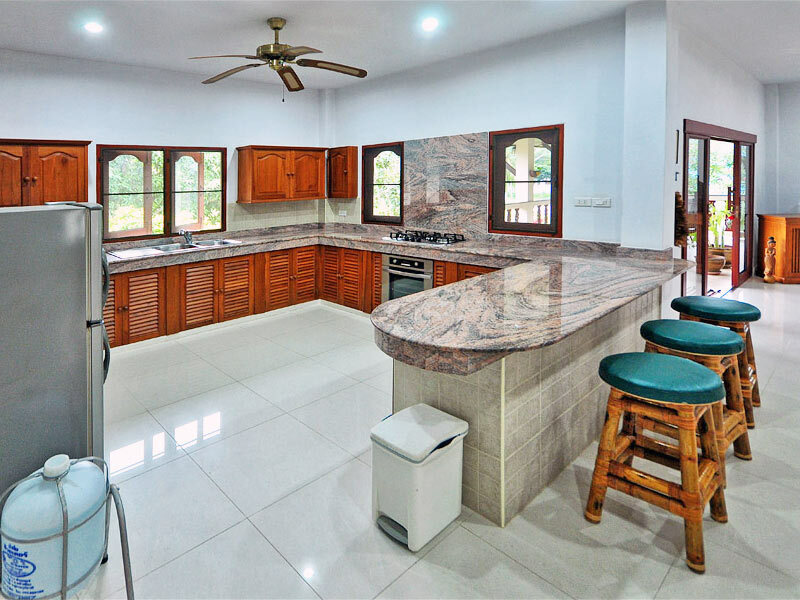 You can choose the standard 3 bedroom Villa, or you can choose to upgrade to the 4 bedroom villa, if you have a larger group. If you are ready to make a booking, go to TripAdvisor to check the availability calendar and make a booking. We also offer additional services, such as car rental and airport transfer. If you are interested in these services, please let us know when you make your booking. You will pay for these services during your visit. * Prices are in US Dollars, unless otherwise noted, and are subject to change. 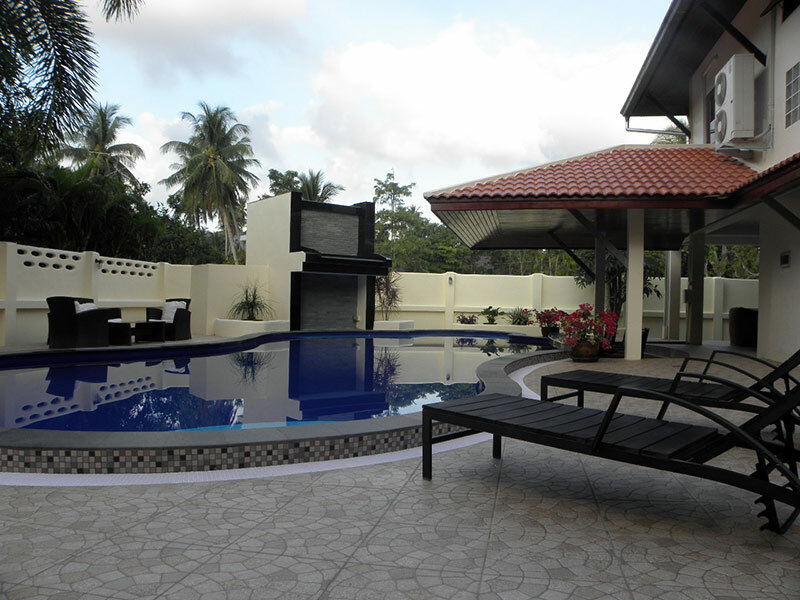 Prices include: 7% Vat, Satellite TV, Free Wi-Fi (10 MB), Garden and Pool Maintenance and Water. Prices do not include electric (6 baht/unit), to be paid upon departure. Do you need to pay a deposit? Please click the button below, and enter the agreed upon amount into the PayPal form. * Price includes 7% Vat, unlimited kilometer and full insurance. Deductible: 10,000 Baht. 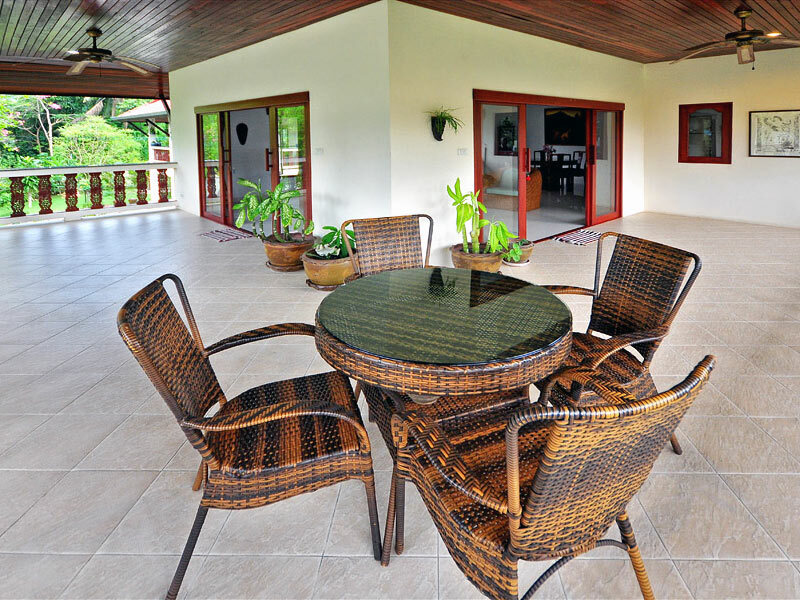 Prices are in connection with the Villa rental. Child safety seat can be provided free of charge. * Price includes 7% Vat, unlimited kilometer and full insurance. Deductible: 10,000 Baht. 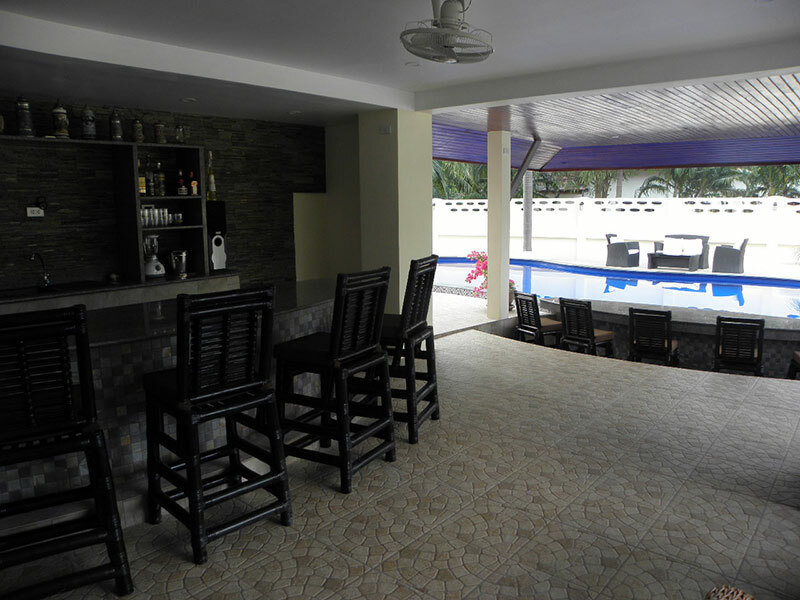 Prices are in connection with the Villa rental. 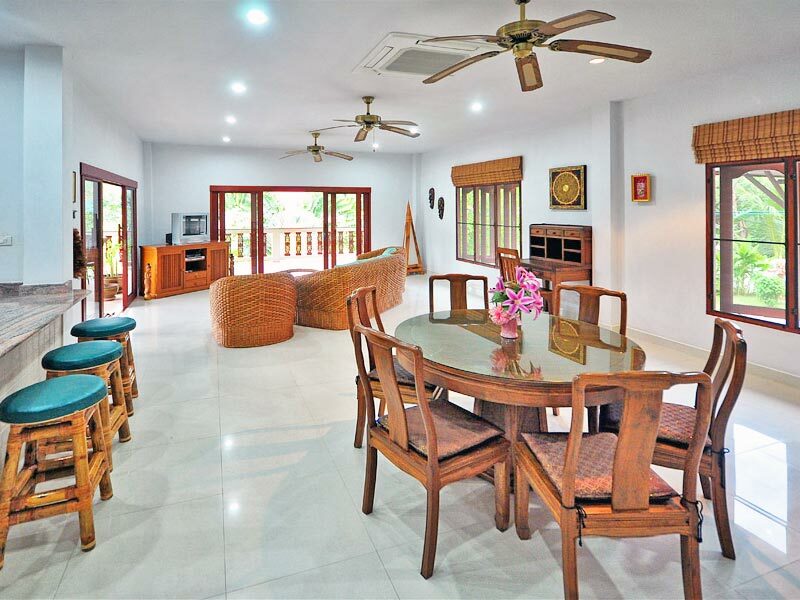 Samui Garden Villa is located in a unique and private place on the southern part of Koh Samui, Thailand that is easily reached from Samui International Airport, but a world away from the islands busy tourist centers. This area is home to a small selection of private villas, high-end resorts and nice restaurants, and is for those who enjoy that special paradise island feeling. The busier beaches, Lamai and Chaweng, are between a 10 to 25 minute car ride away. You will find extensive shopping, dining and nightlife in the area. The airport is about 40 minutes away. 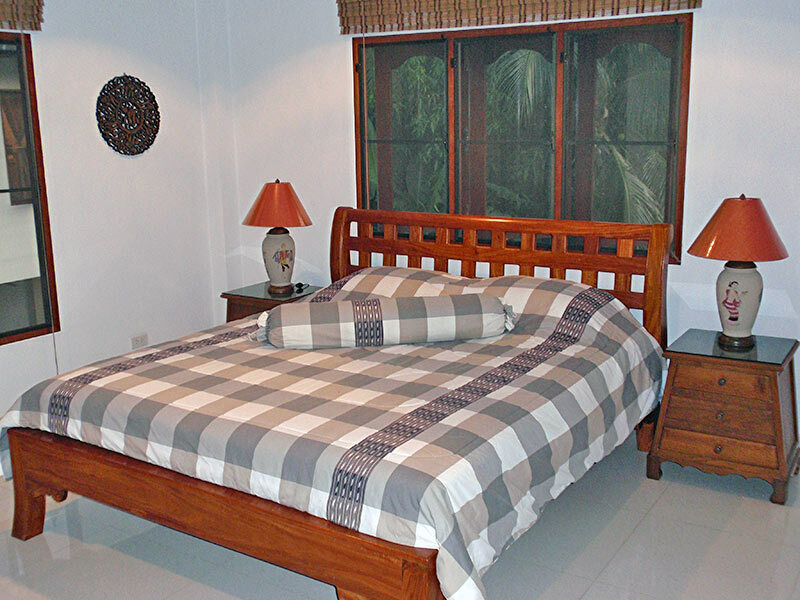 Namuang Waterfall and Safari Park are a five minute drive from Samui Garden Villa. Here you can ride an elephant, hike around the falls, see the animal shows, and ride a zip lines through the trees.